When Skye meets Ben their attraction is instantaneous and intense. Niether of them has ever felt more in synch - or in love - with anyone in their lives. What happens next will tear them both apart. 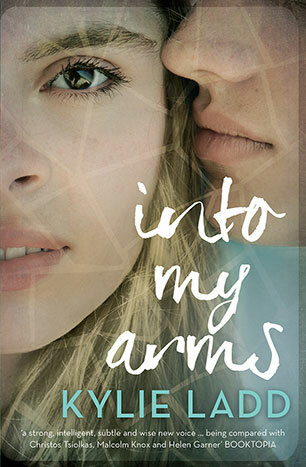 Into My Arms is a searing love story and a gripping family drama - a shocking, haunting novel in the tradition of Jodi Picoult and Caroline Overington. One day a woman meets a man and falls instantly and irrevocably in love with him. It hits her like a thunderbolt, and she has to have him, has to be with him, regardless of the cost, of the pain of breaking up her existing relationship. She has never felt more in synch-or in love-with anyone in her whole life. So this is how it feels, she thinks to herself, this is what real love feels like. She has found her one true love, her soulmate, and he has found his. What happens next will tear them apart and unleash havoc onto their worlds. This brave, brilliant, electrifying novel from the acclaimed author of After the Fall and Last Summer, will move you deeply and shock you to your core. Love, lust and longing have rarely wielded such power, nor family secrets triggered such devastation. Kylie Ladd is a novelist and freelance writer. She has published four novels: After the Fall, Last Summer, which was highly commended in the FAW Christina Stead Award for fiction, Into My Arms, chosen as one of Get Reading's '50 books you can't put down' for 2013, Mothers and Daughters and The Way Back. With Leigh Langtree she also edited the anthology Naked: Confessions of Adultery and Infidelity. Kylie holds a PhD in neuropsychology and lives in Melbourne with her husband and two children.